On the eve of the release of his new book, The Purpose Economy, Aaron Hurst gets ready to begin his major city tour across the U.S.
Aaron Hurst will tour across the nation to share his ideas on the transformative shift in what drives our economy: from information to purpose. As part of his book tour of The Purpose Economy (April 2, Elevate), Hurst will be visiting major cities around the United States in an effort to help people connect with their purpose. Until now, the Information Economy has driven innovation and economic growth. Hurst shows that a new economic era, the Purpose Economy—fueled by technologies, social media, and resource sharing—is all about connecting people to their purpose. “In my book, The Purpose Economy, I explain where markets meet individuals as they step out to create their own means of finding purpose through work,” says Hurst. The shift in our society is becoming noticeable, as a record number of Millennials are thinking more locally in their business decisions: Farmers’ markets are sprouting up everywhere, small start-ups are rooted in local community, and it is now common to purchase homemade, hand crafted products. But what is purpose? Hurst explains that what we think we know about purpose is wrong. “It became clear that purpose isn’t a cause, revelation or luxury. Purpose is what we gain through relationships, personal growth and doing something greater than ourselves,” writes Hurst. 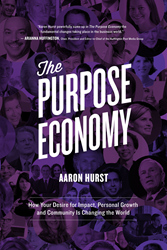 Hurst’s book, The Purpose Economy, debuts April 2, 2014. Rich in concrete examples, case studies, entertaining personal anecdotes and research, it also serves as a guide on how to thrive in the new economy and change the world in the process. On his tour, he will be appearing and speaking at venues in Portland, San Francisco, Dallas, Chicago, Washington, D.C., New York City, and numerous other locations. 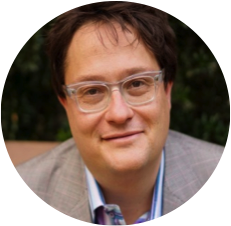 Aaron Hurst is a widely recognized social entrepreneur and authority on social innovation. He is a close advisor to many global brands and frequent speaker and writer on the development of the Purpose Economy. Hurst is the founder of the Taproot Foundation, where he was the catalyst and lead architect in developing the $15 billion pro bono service market. He is currently the founder and CEO of Imperative.